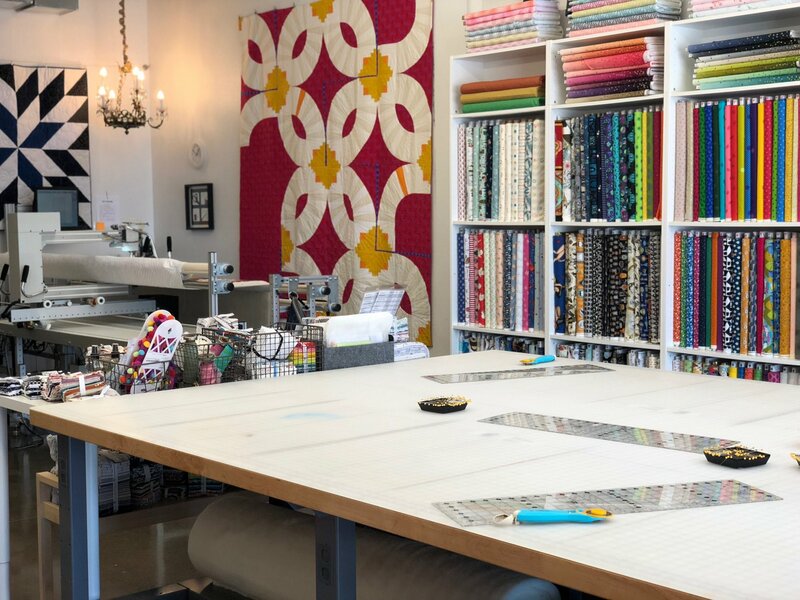 We invite you to come sew in the studio. Sewing with others is fun and a way for us to build our community. This is an independent sewing time for you to work on a project. The only assistance provided will be to set your machine up and troubleshoot any machine issues. If you need help with a project, let's book a private lesson for you! Feel free to bring food/drink to share. The $25 cost of the sew in will be yours to put toward a purchase that day. We are also offering 20% off full priced fabric, notions and patterns to participants. Please bring your basic sewing kit, ruler, thread, rotary cutter, scissors, etc.